Transpose, a room-scale VR game designed to test players’ spatial awareness and problem-solving skills as they solve elaborate puzzles, is out today. Developed by Secret Location, a developer known for titles such as Blasters of the Universe and Sleepy Hollow: VR Experience, the game has come to multiple VR platforms! This includes the PlayStation VR, where you can pick it up for $19.99. Transpose is Secret Location?s full-blown foray into using surrealism as a core game mechanic to show how effective this artistic direction can be in VR. 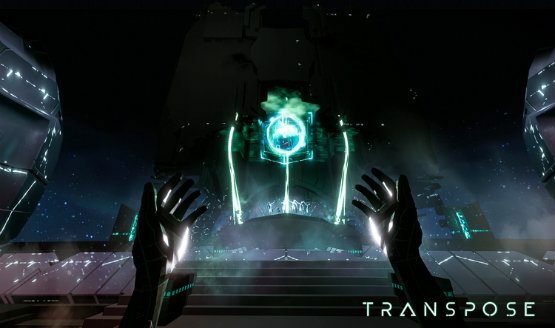 We hope that Transpose?s revamping of the puzzle genre will show the value of creating diverse VR games and help further the medium?s recent renaissance of high-quality and truly creative projects. A list of key features was also provided for Transpose. Here are some of the things you will experience in the game.